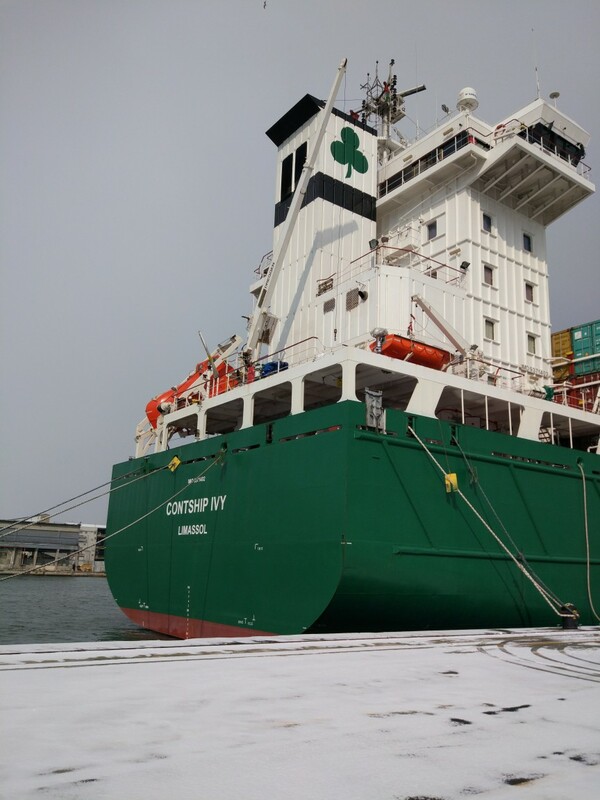 A snow-covered Terminal Container Ravenna, Contship Italia Adriatic Gateway, welcomed on February 27th the maiden call of M/V Contship Ivy in Ravenna. 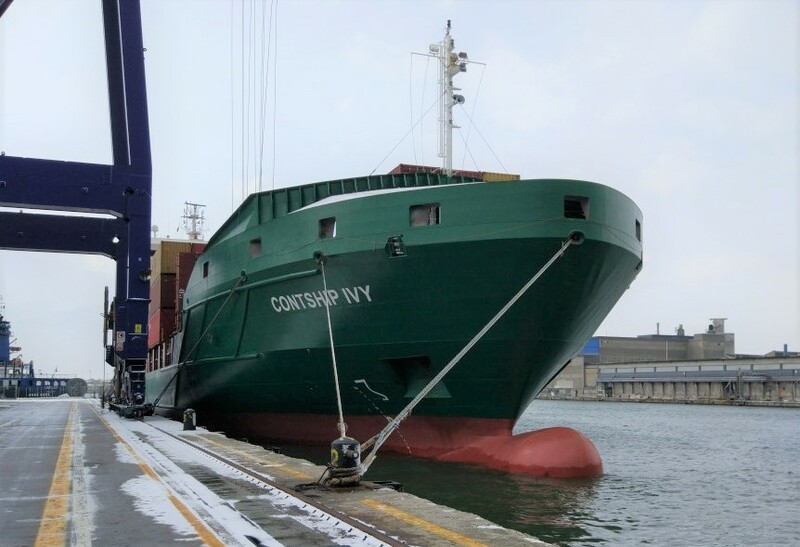 The vessel, built in 2007, is being introduced by MSC on the new MSC G Adriatic service, which will link Ravenna with Contship Medcenter Container Terminal in Gioia Tauro on a weekly basis, offering an extremely competitive transit time. 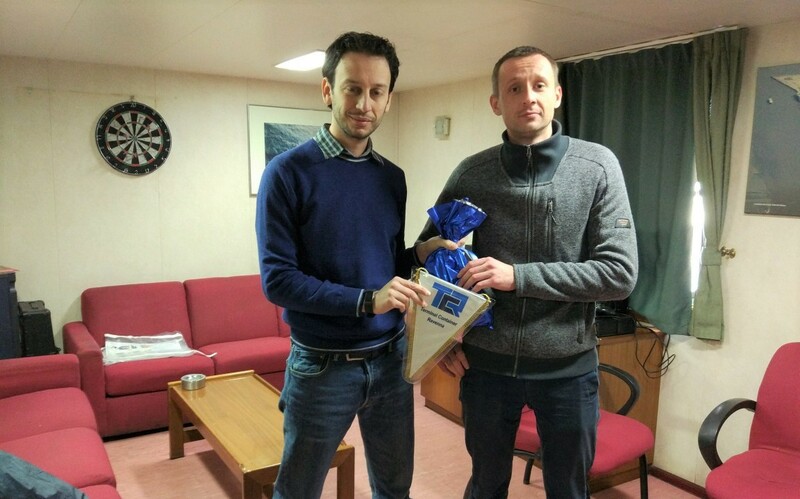 Following tradition, TCR planner Alessandro Braschi boarded the ship during operations, to present the ship Captain, Vitaliy Karpov, with a small gift, celebrating the special occasion.